What a depth there is in this brief encounter. We could spend hours, really, searching out all the treasure that can be mined from just a few words. I am so impressed with this woman. She accepted an apparent rebuff from Jesus; she endured the impatience of the disciples. She begged Jesus again, worshipping Him. When He again seemed to put her off, she had the right answer to His statement. Finally, Jesus recognized and acknowledged her incredible faith and healed her daughter. But let’s back up a bit and look at His response to the disciples when they asked Him to send her away. He said, “I am not come only for the lost sheep of the house of Israel.” This was a very plain statement that the Old Testament Law was going to change. It was no longer the Jews only who had access to the Truth. His grace and salvation would be extended to the Gentiles as well. It must have taken the disciples a few minutes to process what Jesus had said, because we don’t hear from them again in this incident. Their silence gave Jesus and the woman their opportunity to talk. Again. I am impressed with the woman’s humility, knowledge, and understanding of Who Jesus was. “Lord, help me!” was the cry of her heart. The second time she addressed Him, she did not use the Son of David title. She acknowledged that she was not a part of the family of Israel, but she also understood that He was indeed Lord of all and that she had the freedom to approach Him. Still, He tested her again. “It isn’t good,” He said, “To take the bread of the legitimate children and cast it to the dogs.” The word dogs that Jesus used meant the little dogs, the pets, that belonged to the household and who were not forbidden to look under the table for crumbs. It did not apply to the homeless dogs that often roamed the streets, but to dogs that were adopted into the household. This amazing woman did not cringe away in humiliation or anger. Instead, she humbly agreed with Jesus, and pointed out that the little dogs were indeed allowed to enjoy the crumbs that fell from the table. In her humility, her great faith is obvious. She understood that Jesus was the One Who had come from God to provide salvation not only for the Jews, but for the Gentiles. She was asking only for a crumb from the master’s table. Jesus, Who of course had known who she was and how she would respond, commended her publicly for her great faith and gave her what she asked. I imagine Him, as He turned back to His disciples, looking into their faces, searching their eyes to see if they had understood the lesson that had just been played out for them. Tyre and Sidon are two coastal cities north of the Sea of Galilee, right on the shores of the Mediterranean Sea. The area has a most interesting history, and figures in Old Testament prophesy. You can find lots of information online. The important thing in this incident is that this area was Gentile. After Jesus went back to heaven, a church was established there and became a stopping place for the Apostle Paul. In our story today, however, none of that has happened yet. I find it fascinating that this Gentile woman seemed to know Who Jesus was, and was ready to trust Him completely to heal her daughter. When she approached Jesus, she called Him Lord, Thou Son of David. How did she know the Hebrew scriptures? Why did she recognize that Jesus was the fulfillment of prophesy? How was it that a woman of her time was so well-educated to begin with? It wasn’t the norm for a Gentile female to be versed in Hebrew scriptures. I would love to know her backstory. Someday, I will! This woman of faith told Jesus that her daughter was grievously vexed with a devil. The meaning here is that she was miserably possessed and exercised by a demon. How that condition manifested we are not told, but it is clear that the girl was in great distress. I imagine, perhaps, what may have looked like an epileptic seizure; or convulsions, or maybe just throwing herself around, screaming, possibly spouting horrible words. I’ve never seen anyone that I know of possessed of a demon, and I hope I never do. Jesus didn’t respond. Doesn’t that seem out of character for Him? Surely He could have at least acknowledged that she had spoken. I believe that Jesus was possibly both testing and demonstrating her faith, giving her time to address Him again. In the meantime, the disciples showed their lack of compassion for a Gentile woman, asking Jesus to send her away because she was making a nuisance of herself. She was bothering them. Why do you think Peter asked for further explanation of Jesus’ words concerning eating with unclean hands? Doesn’t it seem pretty clear? I think we need to remember that these were men who had been trained from early childhood in both the written and the oral, traditional law. They were being taught so differently now, by a Man they were beginning to realize was more than just a Man. However, they still didn’t have the full understanding of Who He was, and He was rocking their world with His words! Oral tradition was very worried about a person being contaminated by eating with unwashed hands. Remember, a lot of their food was literally eaten with their hands, not in our manner with forks and spoons. Often the food was eaten from a common dish. It was not ridiculous to expect people to wash before eating. The point Jesus was making here, though, was so much more important than hand-washing. He was teaching them that to be defiled from within by one’s thoughts, which emanate from the heart, is much more dangerous than to eat with dirty hands. Evil thoughts, murders, adulteries, fornications, thefts, false witness, blasphemies: These things are far more dangerous, far more defiling, far more objectionable to God than unclean hands! So don’t stop washing your hands before you eat. Jesus wasn’t teaching poor hygiene. He was pointing out that if we were as concerned with the filth that comes out of our hearts and mouths as we are with what we put into our mouths, we’d be a lot better off. To get the backstory, you need to read again from the beginning of chapter 15. Particularly, Jesus had just clearly stated that it is not what enters our mouths that defiles us; rather, it is what comes out of our mouths that defiles us. The Pharisees were indignant! How dare He make light of their precious oral tradition requiring people to wash their hands before eating! So they were offended. How many times do we read or hear of people being offended by Christianity? It happens more and more often as our society devolves into godlessness. It happens any time another religion comes face to face with Jesus. Persecution of Christians is heating up all over the world, and we need to be paying attention. Every false religious leader will suffer judgment, Jesus said. Jesus told His disciples to leave those offended Pharisees alone. Don’t argue with them or try to persuade them, because they will not hear. 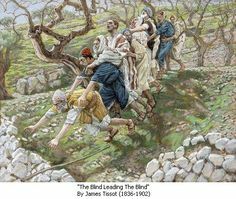 Then He compared the Pharisees to blind men leading other blind men. The only possible result of such behavior is that they will all end up stumbling into the ditch. Statisitcs are pretty consistent that one out of every three women and one out of every six men will have suffered some sort of sexual molestation by the time they are 18. I, of course, find these numbers absolutely appalling. The numbers make it pretty clear that, male or female, we are at risk simply because we exist. Today the focus is on the men. Is it different for them than for women? Do they struggle with the same fears? Are they fundamentally changed by the experience, or are they able to let it go? One of the first questions raised by sexual abuse of boys is whether or not they can actually be abused in the same way that women can. Well, of course not–they are anatomically different. However, they certainly can be–and are–victims of abuse that can be just as degrading, humiliating, painful and frightening as it is for women. It’s always interesting to me that we tend not to see boys and men as victims as easily as we see women in that role. After all, our society used to (and to some degree still does) want boys to be tough, strong, defenders of all that is good. Boys are to grow into men who will defend their families and their country against all comers. Personally, I like that view. I think we’ve done boys a huge disservice in expecting them to “be in touch with their feminine side” when study after study has shown that left to their own choice, boys usually choose traditionally masculine toys and behaviors. Put a truck and a doll in front of a boy and show no preference of your own, and he will usually choose the truck. I emphasize this point because it is important to understand that boys are not molested because they aren’t manly, masculine, or strong. Abuse crosses all lines and all stereotypes. Abusers aren’t out there looking for feminized boys. They’re just looking for vulnerable ones. Truth: Any boy, alone, smaller than his abuser, and kept quiet by shame, is vulnerable. 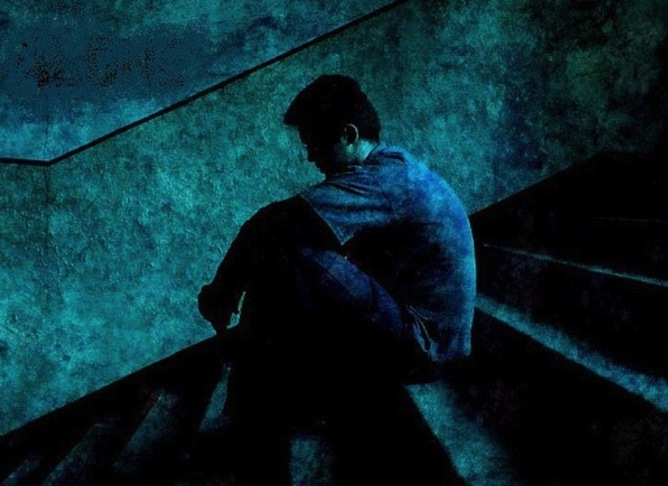 One of the most hurtful burdens a man or boy carries, after sexual assault, is that he was unable to “be a MAN” and step up to protect himself or prevent the abuse. That sense of vulnerability and weakness can certainly change the course of a boy’s life. And I can already see that this is going to be a more-than-one-week kind of topic. Since most of the victims I work with personally are female, I’m doing a lot of study and research on the issues a male victim carries. Some are pretty much the same as for women, but all are touched by the sense that a boy/man should somehow have been able to prevent it. Computers. Ya gotta love ’em. My internet is acting up. This is the second day in a row that it has taken several hours for my connection to work. No idea what’s up. Today I left the house at 11:30 a.m. without having been able to connect since 7 a.m. Got home at 2:15 and the connection is up and running. Seriously, I love my computers. I have a PC that’s holding up quite well. I also have a Mac laptop with which I’m completely in love 🙂 So I’m pretty computer savvy for a non-geek, and I have a son-in-law who is a genius in the computer world; he bails me out when I’m out of my depth. He’s very patient with me. There are some problems that he can’t fix, however, because they have to do with, for instance, the telephone line. So I’ll just have to wait and see on this one. If it continues this way, I may need to go find my umbrella. Anyway, I had a lunch date with a good friend today, and now that I’m back and have the internet up and running, I quite frankly just don’t feel like doing my normal Friday counseling issues post. It’s going to have to wait until tomorrow, I guess. In the meantime, have yourselves a lovely little Friday, and try to stay out of the weather. Here in my little corner of the world, we’re being warned about impending doom in the form of tornadoes and lots and lots of water. Well, it will melt the snow! This short sentence contains such an important truth, and a principle for living that no one should ignore. The scribes and Pharisees were overly concerned about what might go into a man’s mouth if he didn’t wash his hands carefully before he ate. If you’ve ever had a baby, you know that you simply cannot control every single thing that goes into a child’s mouth. Sometimes you wonder how on earth he survives his childhood. Everything a baby sees goes immediately from hand to mouth, no matter how vigilant you are. When our first child was maybe 18 months old, he was crawling around in the yard. He was experiencing grass, dirt, and dandelions with great interest, and he particularly liked little rocks that he could grab by the fistful and jam into his mouth. I watched carefully because I didn’t want to see one of those stone get stuck in his throat. He happily scooted to a small pile of little black stones, grabbed a bunch, and shoved them into the usual place. Before I could get to him, I noticed a kind of black drool running from both sides of his mouth. Thinking that was rather strange, I snatched him up and forced his mouth open. I gagged when I saw it wasn’t rocks at all, but a mouthful of little black worm-like things. They must have been delicious, because the baby put up an awful fuss when I scooped out the worms with my index finger and threw them on the ground. He may have swallowed some–I’ll never know. The point here is that he was not defiled by what went into his mouth. He was just fine! In fact, I had a real job to keep him away from those nasty little critters, he loved them so much. It is the evil that lives within our hearts that defiles us; it is the speech that erupts from a volcano of anger, hatred, envy, and selfishness out through our lips that defiles us. Can you imagine how those lofty leaders of the Jews felt in their own sinful hearts when they heard these words from Jesus? Do you think it made them happy?